Redbox is back with its second attempt at a digital platform. This time the company is reaching for sales and rentals, not subscriptions. Famed DVD rental kiosk distributor Redbox is moving ahead with its second attempt at a digital sales platform. A Redbox Digital app recently surfaced on Apple’s app store for iPad. The app is only open to a small subset of customers who are part of the company’s pilot program, Redbox recently confirmed to Variety. Unlike Redbox's first attempt at a digital platform—Redbox Instant, launched in 2013 in parternship with Verizon—Redbox Digital is not a subscription service. Instead, the plan is to offer videos for rental and sales just like Amazon, Google Play, iTunes, and the Windows Store. Redbox decided to stay away from subscriptions as a result of Redbox Instant's failure and closure in 2014, sources told Variety. It’s not clear how much rentals will cost but it’s likely Redbox’s prices won’t be that different from what you see on the other platforms. Another big unknown is how long Redbox Digital will remain a pilot program. The iPad app is currently only open to pilot participants though anyone can download the app from the App Store—you just won’t be able to login. 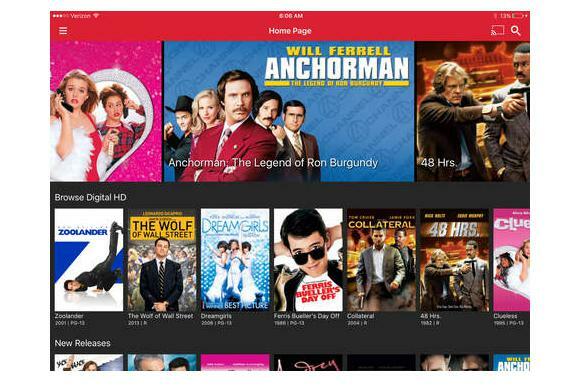 Based on screenshots in the App Store Redbox Digital allows you to stream or download video, as well as send the movies to a Chromecast device. The story behind the story: Redbox told Variety the current plan is for Redbox Digital to complement the company’s existing kiosk based DVD rental business. That may be true for now, but with entertainment moving online Redbox Digital is likely more about an attempt at future proofing the company than anything else.